December 3rd, 2009 has been a pretty exciting day. I learned that the producers of the Pro-Omnia Voynich documentary, due to be aired on December 10th in Europe, decided to release some clues as to the dating results of the Voynich Manuscript. 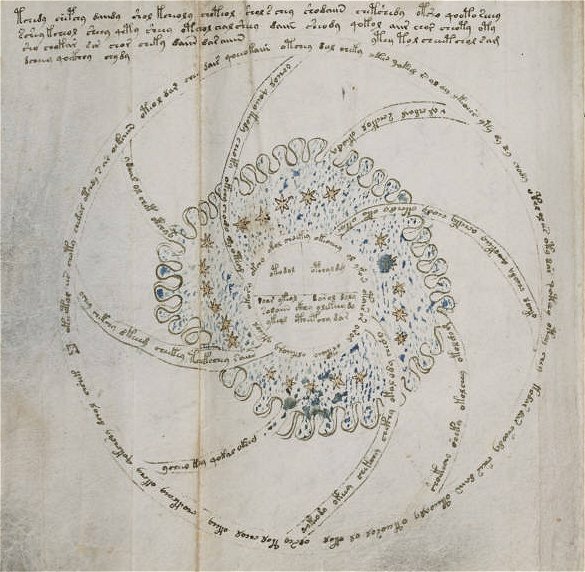 The first statement was found, then reported on Elmar Vogt’s Blog, to the effect that the Voynich was much older than all the existing theories had proposed. This seemed to imply that it was older than the time of Roger Bacon, one of the first contenders. But later in the day more information came to light. The date range of 1404 to 1438 was released. This places the Voynich’s vellum creation… or at least, the death of the poor sheep used in it’s creation… firmly in the first part of the most commonly reported date range for the manuscript, which is usually about 1420 to 1460. This then strongly argues against my optical/New Atlantis theory being correct. It also argues strongly against the certain cylinders being optics, as there is no evidence for optics, as advanced as the cylinders would imply, existing in the early 15th century. There are only vague, inaccurate and inconsistent mentions and rumors of such optics… so while the possibility does exist, it is really very remote. It would seem that the Voynich is what many believed… a sort of unusual kind of early 15th century herbal or pharma, which does not quite fit many of the characteristics of these books, of this time. I think that it is great that an important part of this long running mystery has been solved. It would have been nice to have a correct theory, but not at the expense of the truth, which is more important. I’m not sure what I will do now… I will certainly follow the ongoing research with interest, but I will probably not take an active part in it. I really like my time frame, and the people I have researched for my theory… and I am not ready to leave them and follow the Voynich back into what is for me, an unfamiliar realm. The history of my theories time fascinates me, the imagination and creativity and talent of the people of my time excite me, and I want to continue to learn about them… even if they were not responsible for the “most mysterious document in the world”. As I wrote in my post, “Optical Comparisons”, the similarity of many of the cylinders in the Voynich Manuscript to optical devices is the starting point of the New Atlantis/Voynich theory. 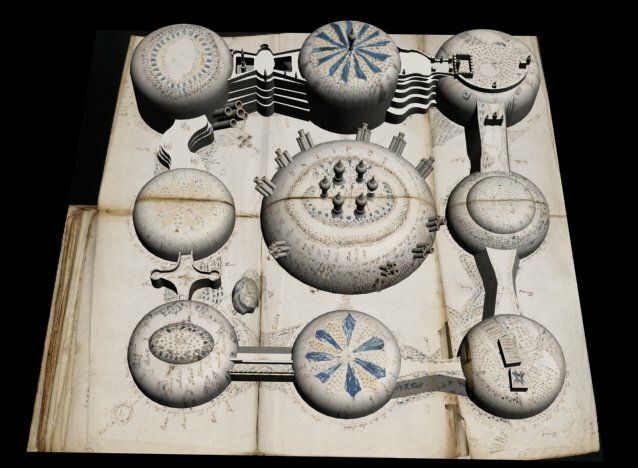 But if the cylinders do represent optics, and if the Voynich is an artifact representing The New Atlantis, then these optical illustrations would have to represent the type of optics from their time, or before… obviously not later. The range of time for the creation of the New Atlantis is unknown, but various experts have placed it from about 1608 to 1623. 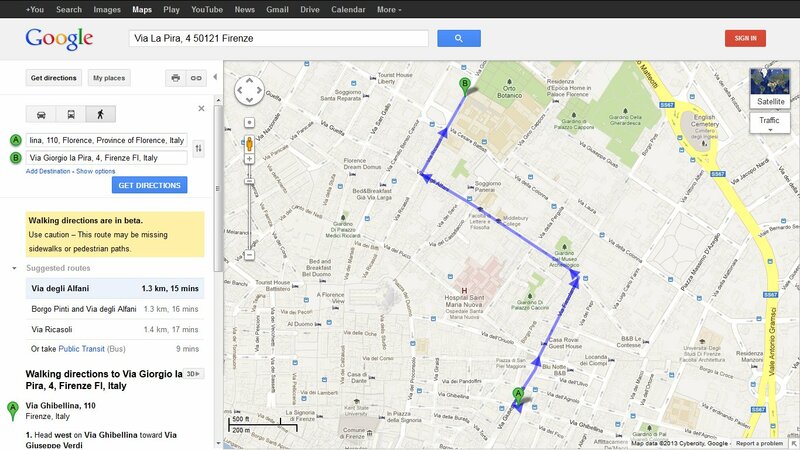 It was then finalized for print about 1623/24. And the earliest firm evidence for the existence of the Voynich is 1621, if we accept the De Tepencz name as meaning he owned it. So if the cylinders are optical, then they should look like the devices we would expect to see from between 1610 and 1621. But as for existing examples of microscopes of this time range, none are known to have survived. There is one microscope, the 1595 Janssen device, which pre-dates the range. There is some evidence that Galileo had made a microscope as early as 1610, then one in 1614. And Kepler published Dioptrice, a 1611 book on optics, which contains fine diagrams of optical principles, theories, and devices. Among these is the first description of a twin-convex lens microscope (shown below). Of telescopes from this time, we have better examples and illustrations. Of course we are all familiar with Galileo’s 1609 telescope, which tells us what the state of the art optical devices of this time looked like. 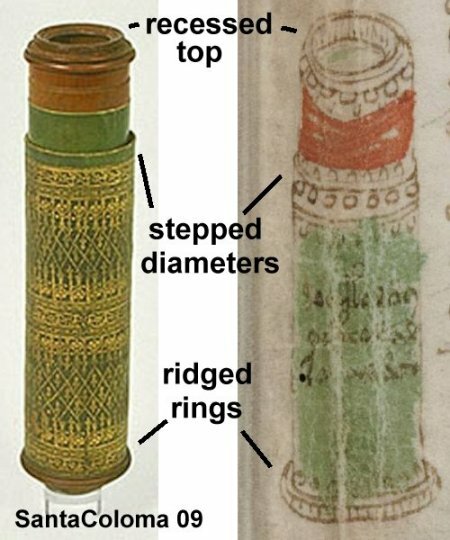 In this case, the telescope is covered with red and green vellum, and is tooled with gilding along the edges of the segments. These are features which are conceivably represented in the Voynich cylinders… although they are of shorter devices, which I believe could be microscopes. 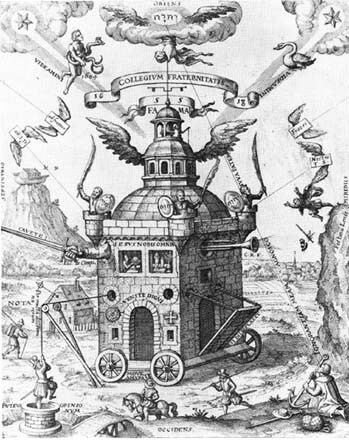 Kepler also owned a telescope about 1610-1611, and it’s design was “based on that of Galileo’s” device. Below is a portion of an accurate modern replica of Galileo’s telescope. The entire telescope is much longer, this is only one end. You can see the replica, made by Jim & Rhoda Morris, and how it was created, at this excellent site. After the fall of Prague, and the later death of Rudolf in 1612, Drebbel pleaded with James I, to let him come back to London. He professed to be able to build a telescope able to “read a letter at a country mile”. While this is obviously an exaggeration, to make such a claim would be a dangerous gamble if he did not enough experience and knowledge in optics to feel confident of backing it up. Then, between about 1619 and 1621 in London, Drebbel was producing microscopes for sale. He is credited with the production of the first twin-convex lensed devices. Remembering that this layout was first mentioned in Kepler’s 1611 Dioptrice, and Drebbel shared Rudolf’s court with Kepler, this cannot be a coincidence. 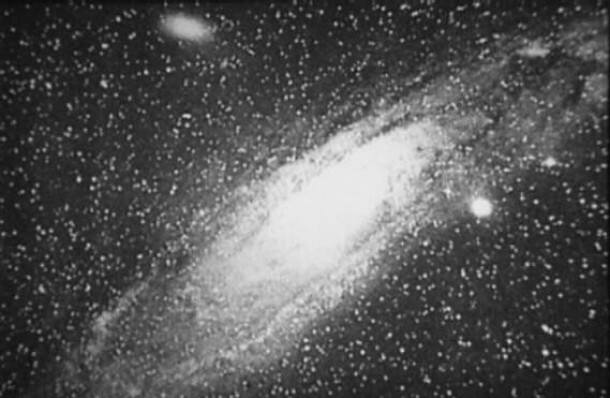 Drebbel’s devices must have been based on Kepler’s, either from actual examples, or from the descriptions in Dioptrice. But that is moot to the timing, as it is well established he was making fine microscopes during this time. In fact it was a Drebbel microscope which insprired Faber to coin the term “microscope”… he was marveling at the quality of the lenses, and the clarity of the image of a flea, “the size of a chicken”. He wrote this in 1625, but the instrument was made 1619 to 1621. I purposely gave the device generic arcing legs, not reminiscent of Voynich cylinder feet. This, because the shape or design of legs of the extant descriptions are not specified. But interestingly, one description does describe the legs of a Drebbel device as being “shaped like dolphins”. 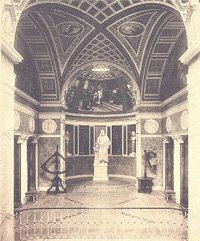 The “delphini” motif has long been popular on legs, often found on Baroque furniture, accessories, and even scientific devices. I argue that the legs on the Voynich cylinders may represent such “dolphin legs”, sometimes head down, sometimes fluke down… both arrangements being known. At any rate, it has often been suggested that my use of illustrations from after 1620, and even, into the 18th century, to show microscope comparisons to Voynich cylinders, is incorrect and misleading. Also, on a popular blog, the author claims it is re-writing optical history to suggest that microscopes may predate 1620 at all! But even though no known examples of microscopes from between 1610 and 1620 exist, it is clear they were made, they were described, they were explained as early as 1611, and one may exist from as early as 1595. 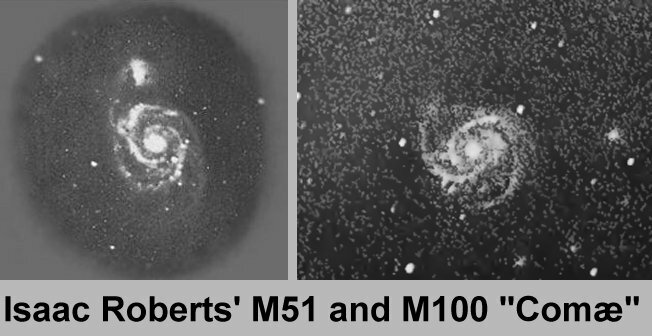 And given the known covering, coloring, decoration, lens glass color (blue and green tint) of the contemporary telescopes, it is not at all unlikely that some of the “lost” microscopes from this time shared these features. This is why I use some later microscopes… they show what a microscope would look like, covered and colored like the known telescopes from “my” time frame. 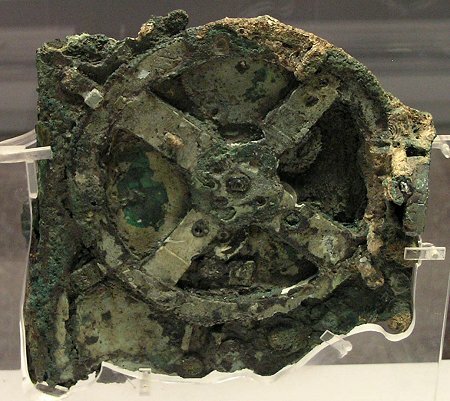 Besides, it is only a few decades from that time frame, to the 1640 to 1675 surviving devices of Divini and others. Thomas Harriot certainly comes under the category of “People whom History Forgot”, right alongside Cornelis Drebbel. The problem in both cases is that much of their life works were destroyed or lost, before ever being published. Just we don’t know the workings of Drebbel’s perpetual clocks, or his advanced methods of lens grinding, we can’t know the full extent of the genius behind Harriot’s discoveries in astronomy, optics, mathematics, and Native American languages. But from what I have learned, he is very close to the influences and circle I suspect was behind the creation of the Voynich Manuscript. Note not only the many “Voynichy” characters, but the repetitive nature of them, and the small distinctions… with major import… but nonetheless small. Here is a full image of the page. Now Imagine a book of those suckers, with no clues to tell us what they were, where or when they came, and what language they represented? We would be as lost, I am certain, as we are with the Voynich Manuscript. There were such books written in this script, but they burned in the Great London Fire. As I pointed out, Harriot has been under-appreciated to history, because he did not get much of his work published. Many notes were found in the 1980’s, including the alphabet page. But also of interest… well, to me… is that he was apparently an early experimenter with optics, and quite good at it. At least one reference I saw had him making the first telescope in England. It was very good device, and allowed him to make very good sketches of the moon, and sunspots, about the time Galileo is credited with both. I came across another connection in my circle of interest, while looking up references to Algonquian. In addition to Harriot and others, one William Strachey also compiled a list of Algonquian words and phrases. His list was a full 500 long. He wrote of his accounts in the New World, including the book, “The Historie of Travaile into Virginia Britannia“*. Strachey was a rich source of information on Native Americans, their language and culture. Today his writings are invaluable to learning of the layout and functions of the original Jamestown town and fort, because he gave such detailed descriptions. But then there is a very curious “cross connection” to Shakespeare. It turns out that William Strachey’s description of the wreck of the Sea Venture on July 24, 1609, is almost universally considered source material for Shakespeare’s account of the wreck in The Tempest. Also, the mysterious magical nature of Prospero and Miranda’s isle is considered based in part on Strachey’s descriptions of Bermuda, where he was wrecked. Again, I find parallel influences: Both in those whom I suspect influenced the Voynich Manuscript, and also, those known, historically, to have influenced the people of my circle of interest. The expeditions of Raleigh, the ships which supplied them, the people who manned them, all influenced, in some cases directly, both Bacon’s New Atlantis and Shakepeare’s The Tempest. *One manuscript copy of which was dedicated to Francis Bacon (!). It has been said that the Voynich theories I have developed and researched are only about the microscope comparisons, and without them, there is nothing left. This is very inaccurate, as there are many features of the Voynich, outside of the cylinders, which indicate to me the possibility that it was created in the time frame I am working in, and by the people I suspect. But it is true that the optical comparisons are the seed of the ideas which came later. When I first looked over the Voynich, I was struck at the similarity between certain cylinders in it, and early microscopes. I was very surprised that this was not generally assumed, they looked so much alike. In several years of research, I only found one person… Chris Parry… who openly mused on this on the VMS-net list in 2003. Berj N. Ensanian later told me that he had long noted the similarities between the cylinders and the microscope of Robert Hooke. Even Newbold, (of the well known failed theories and translations) who believed that Roger Bacon wrote the Voynich, and who he believed used a powerful microscope to do so, did not make a connection between the cylinders and the instruments. Newbold called them “jars”. For the generally assumed “jar” identification, then, I would agree that some of the Voynich tubes may be just that. However I do not think that the 15th and 16th century apothecary and albarello jars are good comparisons… they do not compare as well as optics, in my opinion. Even for the bizarre cylinders, such as the iconic one shown below, I feel optics are just a better match than jars or containers… or perpetual candles, soap dispensers, or others which have been suggested. Next to the f88 cylinder I show it in CAD, covered with tooled Moroccan leather, as an optical device would be. I think it is a good match to to the color and tone of the Voynich illustration. As for the color of my supposed “lens”, and the knurling marks, those are in the “original”.